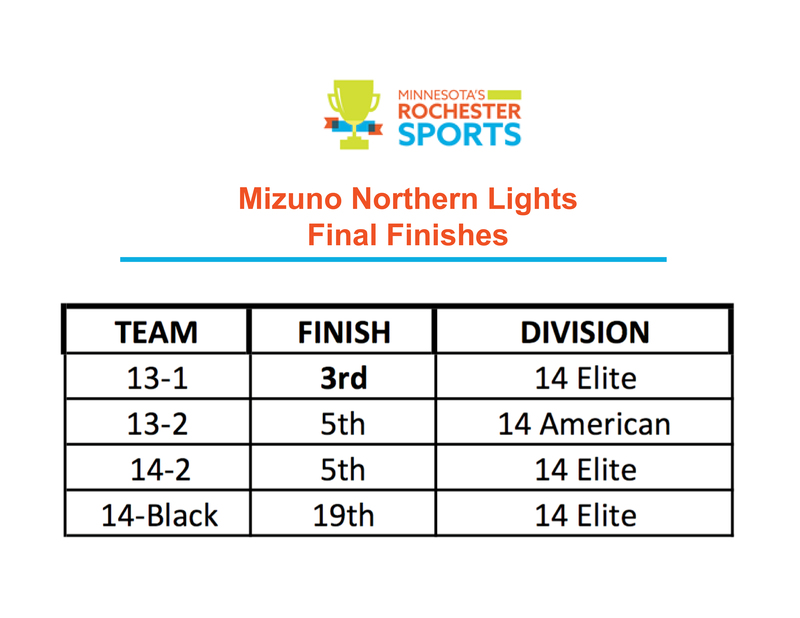 Mizuno Northern Lights had 4 teams participate in the 2018 Rochester Cup! Congratulations to 13-1s on taking 3rd place in the 14 Elite Division! 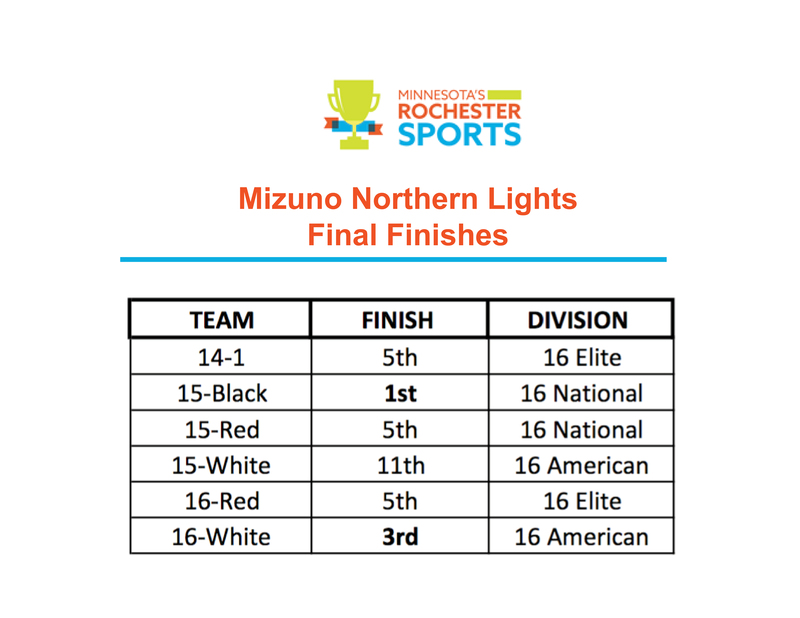 Thank you to the athletes, coaches, and parents for a great weekend!